Save on Steaks at Love for Salad. 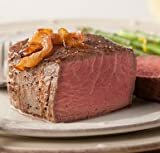 Top brands include Harris Robinette, Greensbury Market, All Natural Superior Wagyu Kobe, Western Grassfed Beef, Rastelli Direct, & The Texas Steak Warehouse. Hurry! Limited time offers. Offers valid only while supplies last.